Donald danced professionally with Uptown Dance Company for three seasons and worked with choreographers Chet Walker, Krissy Richmond, Tina Bohnstedt, Priscilla Nathan Murphy, Adrian Ciobanu, Jennifer Mabus, Seán Curran, and Austin McCormick. Over his career he has worked with various Companies including Beaumont Civic Ballet, Kingwood Dance Theater, Allegro Ballet, Bones and Memory Dance, Hope Stone, and Houston Grand Opera. In 2013 Donald received his BFA in dance from Belhaven University. 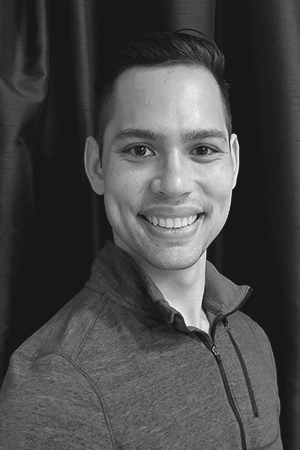 Currently works closely with METdance, Masters Upper Level Dance Company, and Massage Therapy Houston as a licensed professional.